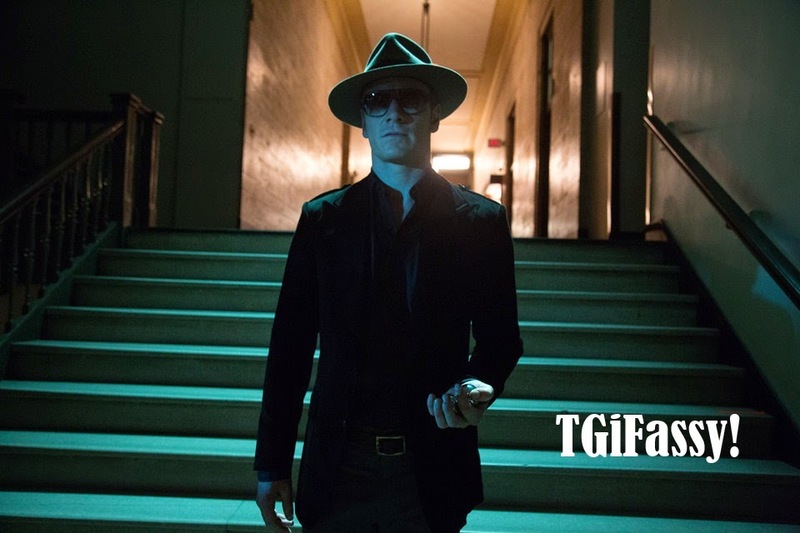 I have literally only 5 minutes to post the TGIF fassy image and it's from no less than the exciting X-Men: DOFP. If you haven't seen it yet, or plan on watching it for your 2nd or 3rd time, go check it out this weekend before other great movies come out and distract you. I'm very, very tired at the moment, it's hard being an 'atmosphere artist' on a "major motion picture", but it's exciting at times, and very boring at others. I worked 13 hours yesterday and I will be doing 12-14 hours again today, working past midnight. I'll have the weekend off, then maybe one more day of shooting on Monday. I wish I can say more, but in due time. Keep it up Simone, I'm sure it's worth it!!! TGI Fassy everyone and have a nice weekend!!! I guess that all the new impressions will make you tired also, but enjoy as much as you could! I know we've to wait to read about your advetures, but I'm looking forward to it already! Good luck and thinking of you! Can't wait to hear about your adventures as an 'atmosphere artist'! Hey all, my stint as an atmosphere artist has ended earlier due to my not being needed on Monday. After working Thurs and Fri past midnight, I'm glad I don't have to go back. Let's just say this, some people LIVE and DIE to be extras because to them it is fun work and they get paid (minimum wage), and they want fame. Others, like me, NEED to be busy and feel valued. I sat around a lot and was not part of a core group of extras that was, shall I say, were the preferred extras while the rest of us (70) were left twindling our thumbs and eating nice snacks. I was used for a key scene and I was mere inches from a breathtakingly beautiful actor. But that's all I can say right now. It was a great experience, but not something I care to do again. Once is enough for me and it couldn't have been with a more special film. Much more details many months down the road. While the film is filming, I can't share any more than I have. Simone,I hope everything is well and that your experience, even if it's tiring, will leave you with excellent memories.